Friendly staff, room close to front office, walked to breakfast, took to room. Head gravy and biscuit, scrambled eggs, orange juice, decaf coffee, and could have had dry cereal with milk and other drinks. Fantastic food. Room large, king sized bed, TV, Microwave, and Refrig. Reasonably priced. I have stayed twice now and both times were GREAT. Previous reviews mentioned questionable activity in nearby rooms, not in a good area, not friendly staff. I didn't see any of this. Staff were welcoming and friendly. Area was quiet, room was clean. No problems. Sure there were other choices in Jasper, this one was out of the way, offered a great night's rest at a bit cheaper rate. Close to the highway. Clean room, good breakfast, including fresh fruit. I reserved a poolside room with a king bed. I got a room on the back side with two small beds. For what I needed it was great! Stayed one night on the road traveling. Wasn't too bad. Room was really clean. Only complaints, room was missing the alarm clock and there aren't many accessible outlets. Bed was super comfortable! The 1st room they put us in was on the backside of the motel. We went in and it was not clean at all furniture was torn up, toilet didn't flush, called front desk and they moved us to a newly updated room at poolside and it was great, clean, nice and perfect, I will stay there again. Staff was very friendly and helpful. I just wanted a place for the night. This hotel was all that I needed. Nothing fancy, but not a dive either. Super 8 by Wyndham Jasper places you within 2 miles (3 km) of Jasper City Hall and Gamble Park. This 99-room hotel has conveniences like free breakfast, an outdoor pool, and free in-room WiFi. Start your day off right with a free continental breakfast offered each morning. A TV comes with cable channels, and guests can stay connected with free WiFi. The bathroom offers hair dryers and free toiletries. Other standard amenities include a refrigerator, a microwave, and a coffee maker. 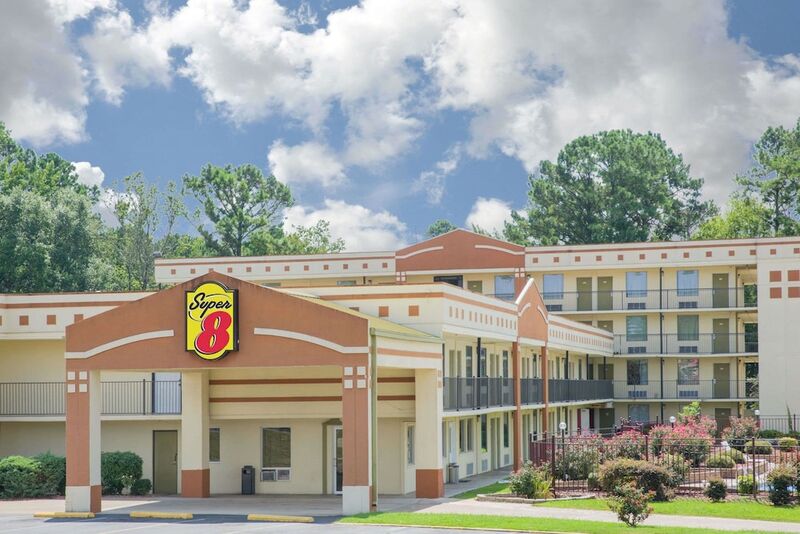 Guests of Super 8 by Wyndham Jasper enjoy features like an outdoor pool, free WiFi in public areas, and laundry facilities. If you drive, take advantage of free parking. The front desk is staffed 24/7 to help with dry cleaning or laundry, and answer any questions about the accommodations. Additional amenities include a convenience store and barbecue grills. room had an odor once you walked in !! Recreation features at Super 8 by Wyndham Jasper include an outdoor pool. The preferred airport is Birmingham, AL (BHM-Birmingham Intl. ): 53-min drive, 46.9 mi/75.5 km.